September 10: Two of my three major European adventures had been checked off my to do list. Tour Mont Blanc--check! World's Fair--check! GR 20--time to get that checked too. The GR 20, for those of you not familiar with it, is a rugged 190 kilometer (about 120 mile) trail along the backbone of Corsica. Corsica is part of France--not just an island owned by France, but an actual region of France like Hawaii is to the United States. So French is the primary language that everyone uses, although there is a Corsican language used locally as well. The island is among one of the largest found in the Mediterranean Sea, near the northern coast of Italy. It's close proximity and historical ties to the region, the island still has many cultural elements of Italy. The Corsican language, so I've heard, is closely related to Italian. About two-thirds of the island is composed of mountains along a largely north-south chain of ridges cutting the island in half, and the GR 20 follows this chain of mountains. There are many GR routes throughout Europe, and the GR 20 is considered by many to be the most difficult of them all. Which, in fact, is part of the reason I was going to do this trail at all. I'd never heard of the trail before my former hiking buddy, Karolina, emailed me about it. I'd been planning to hike the Tour Mont Blanc and hit the nearby World's Fair at the same time, and she emailed a reply saying something to the effect of, "Well, if you're already in the area, would you be interested in doing the GR 20 together?" 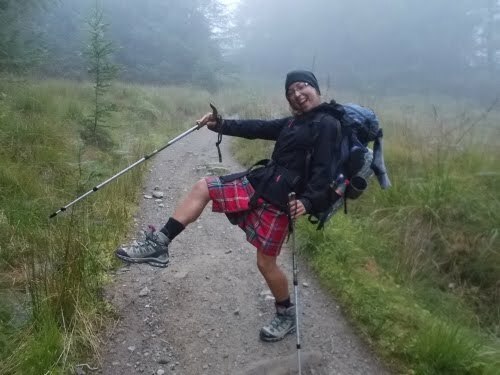 You might remember Karolina from our hike along the West Highland Way in Scotland. She's from Poland, but currently working in the Netherlands. I'd never heard of the GR 20 before, but she explained that it was considered the most difficult of the GR routes and she wasn't sure if she could do it, or even if she should do it by herself. And apparently, she doesn't know many crazy-hiking people who'd hike something as rugged as the GR 20. And since I was going to be "in the area" already anyhow, maybe I'd be interested? Injuries and even deaths, as I'd later learn, aren't exactly uncommon along this trail--a fact I'll get into more detail later. My guidebook even warned that someone usually gets themselves killed along the trail pretty much every year, so Karolina's concerns weren't exaggerated or unreasonable. 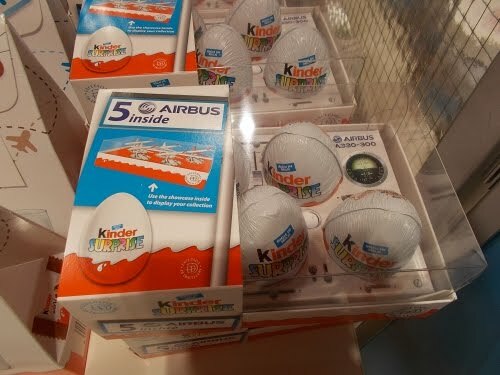 Also at the Milan airport, I knew Amanda would be interested in these Kinder eggs with Airbus planes inside! But I didn't buy them since they aren't practical for the trail. Too easily crushed. Corsica, being an island, limited my transportation options. Taking a bus or hitchhiking were out. 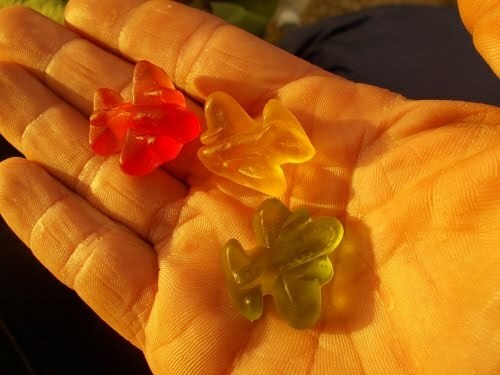 I was limited to boats and airplanes. Boats were slow, though, and Milan--in case you didn't realize--wasn't even near the Mediterranean. So I booked a flight from Milan to Bastia (the second largest city in Corsica), which included a six-hour layover in Barcelona. Before I left Milan, I walked to a DHL office where I inquired about sending my laptop and other unnecessary gear home. I had a guidebook on the GR 20 which suggested that it was possible to get food in huts and shelters along the route, but those huts and shelters typically closed for the season around mid-September. And it was getting pretty close to mid-September. I figured I'd have to carry all of the food I'd need for the trip on my back, with a single resupply point in the middle of the trail when it went through the town of Vizzavona. I'd need to carry a good 10 days of food on my back. That's a heck of a lot of food. And heavy! I couldn't also go around carrying a laptop like I did with the Tour Mont Blanc. 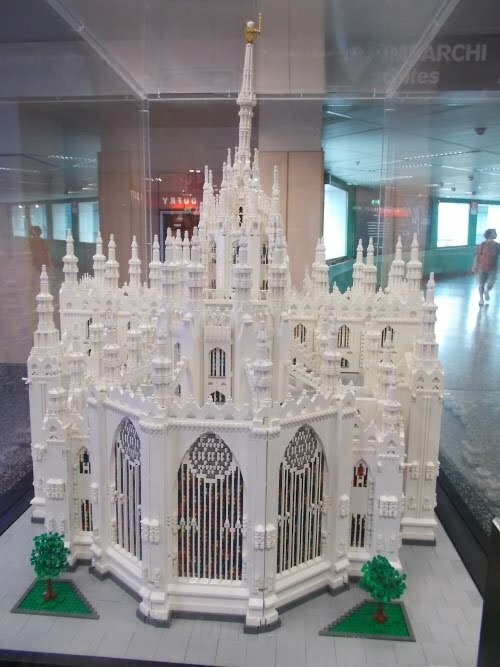 A lego model of the Milan cathedral at the Milan airport. I think they did a pretty good job of it! I also dropped by the grocery store, unsure if I'd have a chance to go grocery shopping in Corsica before starting the hike. I picked up nearly 20 pounds of food, and I was definitely feeling the weight of it. I checked out of the hostel, then took the subway into downtown Milan where I transferred to the Malpensa Express train to the Malpensa airport. 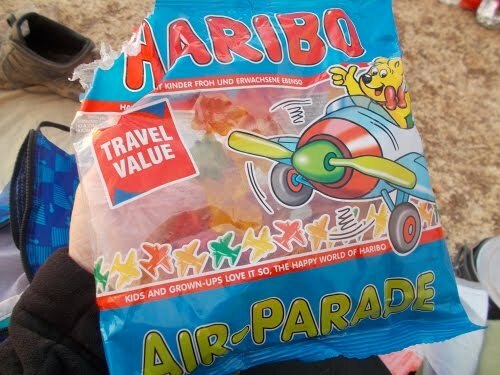 The Malpensa airport had some wonderful junk food options including gummies in the shape of airplanes, blocks of salami, and other foods I hadn't been able to find at the grocery store, so I bought even more food here. Maybe five pounds more of food. My flight from Milan to Barcelona was uneventful, and I had an epic six hours to kill at the airport. I was already familiar with this airport since I had switched planes here on my way to the Tour Mont Blanc a little over two weeks earlier. I spent a lot of time reading my Kindle and less time browsing around the shops. The flight to Bastia, Corsica, was delayed two hours--but that wasn't a big concern for me since I had an even more-epic layover of 13 hours in Bastia before I could catch a train to Calvi. A two-hour delay here wasn't going to cause me any issues. My flight arrived in Corsica at 11:15 PM. It was dark out, obviously, so I couldn't see much of the countryside while flying in. The airport was relatively small--especially compared to the massive structures I usually fly through like Milan or Barcelona. Karolina, I knew, should have arrived at the Calvi airport earlier in the day. Calvi was near the start of the GR 20 and the ideal airport to have flown into, but I skipped it because the cost to fly there from Milan was over $600. By comparison, flying into Bastia from Milan was about $150. But it meant I still had to get to Calvi, and since my smartphone didn't work in Europe, I had no way to contact Karolina to find out if she made it okay or to let her know that I'd made it to Corsica. I went to the information desk to ask about transportation to Calvi. As far as I could tell from my online searches before I had arrived, the next public transit option would be via train that would leave Bastia at 9:30 the next morning, but if there was a faster way to get to Calvi, I wanted on. (I knew I could have taken a taxi, but that probably would have cost as much as I saved by flying into Bastia in the first place!) Were there any buses or some other train I didn't know about that could get me into Calvi sooner? There were two people working the information desk, and I asked about the transportation options to Calvi. And it turned out, neither of them spoke English. Seriously? I was astonished. Not to sound like an "ugly American," but this was an international airport with flights coming in from all over Europe--and they couldn't hire just one person who spoke English for an information desk--the international language of travel--at a friggin' international airport? #*^(% French. I expect not to find English-language speakers in the countryside, or small restaurants off the tourist beat--but I do expect to find them manning information desks at international airports! What the hell is wrong with them? I thought about what I wanted to do next. Sleep at the airport, or the train station? It was already so late at night, I didn't like the idea of wasting money on a hotel for a few hours just to wake up and go to the train station first thing in the morning. I decided to go to the train station. I wasn't feeling especially sleepy at the moment, and it doesn't hurt to show up for my train ten hours early. The train station was a small, deserted building. I paid the fare--which was surprisingly expensive for the short distance we traveled. Something like 30 euros, although the exact number I forgot. But I had pulled out a couple of hundred euros from an ATM in Milan so I was well covered on that count. The taxi drove off, and I walked around the building. I had expected to be dropped off in the middle of downtown Bastia or something, but I felt like I was at the edge of a town, in an industrial area, at a remote and deserted location where horror stories happen. There were a few small lights on at the train station, but it looked like a dump in the bad part of town. Maybe it was the darkness and my mind playing tricks on me, though. Although there was some graffiti, the area didn't seem completely overrun with it. It wouldn't be until the next morning when I finally figured out that I had not been dropped off in downtown Bastia, but rather at the Casamozza train station which actually was the closest one to the airport. I was a bit surprised and slightly disturbed when I noticed one of the parking spaces in front of the train station that looked like a car had blown up or caught fire. The car was no longer there, but severe scorch marks marred the spot. What the hell had happened there? By this point, I was having second thought about spending the night here, but there was nothing I could do about that now. My taxi had left and I had no phone to call for a new one, and no idea what direction I'd walk if I wanted to go somewhere else. I went to the back of the station next to the railroad tracks and set up camp--hidden from any passing vehicles that might drive by during the night. The air was warm and pleasant, and I slid into my sleeping bag and tried to make the best of it. 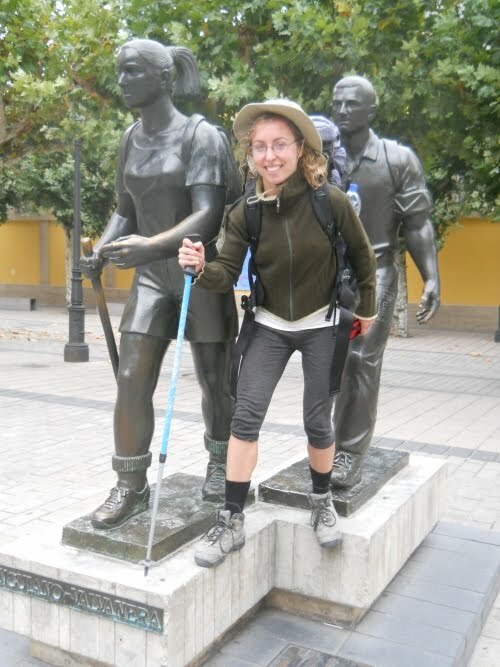 For those of you who've been reading my blog a long time, you might also remember Karolina's first appearance in my blog from 2012 when I first met her while hiking the Camino de Santiago.